FROM MTV to SubmergeA� and Supersonic, this niche three-piece act is three years old and already taking the countrya��s techno scene to international heights. 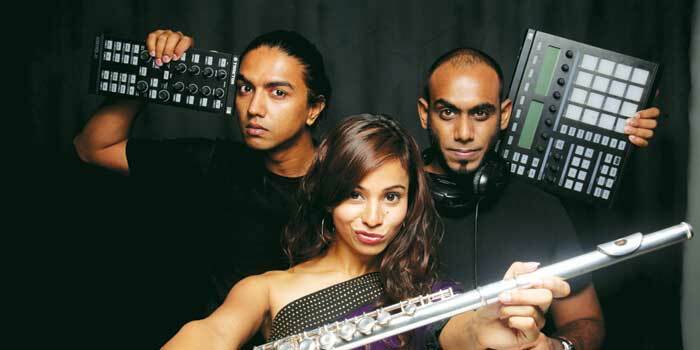 BLaNK comprises the talents of DJ Manny, DJ Skip, DJ Alive and vocalist and instrumentalist Nirupama Beliappa, and the band hops between Chennai and Bangalore. The live-electronica act, which throws in progressive techno, break-beat and deep house into their tracks, aims to redefine conventional DJ-ing. While BLaNK doesna��t constitute fusion, a generous dose of Indian instrumental is key to their tracks. a�?a�?The a�?Indian elementa�� is more in the melodic themes I tend to infuse in my flute parts, stemming from my fascination with Hindustani classical music,a��a�� says Beliappa. Apart from having shared the stage with Tiesto, Sasha and Paul Van Dyke, the act is the reigning MTV Ultimate DJ Champion in the Pro DJ category, which earned them contracts with MTV and Submerge. A major struggle for the act in India is the pressure to keep a dance floor packed with commercial Bollywood tunes. a�?a�?But more people also have to understand how much it restricts an artista��s growth when you bind them to your expectations of what they should play,a��a�� laments Beliappa. With national gigs, and EP and some great collaborations in the pipeline, Belliappa signs off with what to expect at Radisson Blu. a�?a�?Expect to dance,a��a�� she says.